Haven't seen the rest of our FUN?? You can see mine HERE and Carolyn's HERE. Our last post was way back in August! I cannot believe how time flies! That post was when Carolyn decided that our Artsy Fartsy would be a Special Edition featuring my new StencilGirl stencil design. Stay with me here..this is the important part of this post to me. When Carolyn made THIS project with my stencils it was very emotional for me. First seeing something that I created that REALLY became a reality--a product--NO words. Second, and most importantly, I was moved to tears. I was absolutely blown away with this project. Actually, you can see it above. It is my blog header and also my Facebook header. It may just look like a awesome project to you, but if you look closely...there are words that are so very important to me which only a friend who loves you would know. FAST FORWARD........then Carolyn came out with her own StencilGirl stencils. You can see them all HERE. I was over the TOP excited for her! Stencils that have become a huge huge hit! We planned a Special Edition Artsy Fartsy to feature her stencils. Travel, work, life....it all got in the way. Secretly, well not so secretly, Carolyn knew.....I FROZE. I couldn't create anything with any of her stencils. Although I was ABSOLUTELY in LOVE with them--especially the words....I FROZE! How could I ever, ever create anything for her that would give her the same feelings that I had when she used mine? 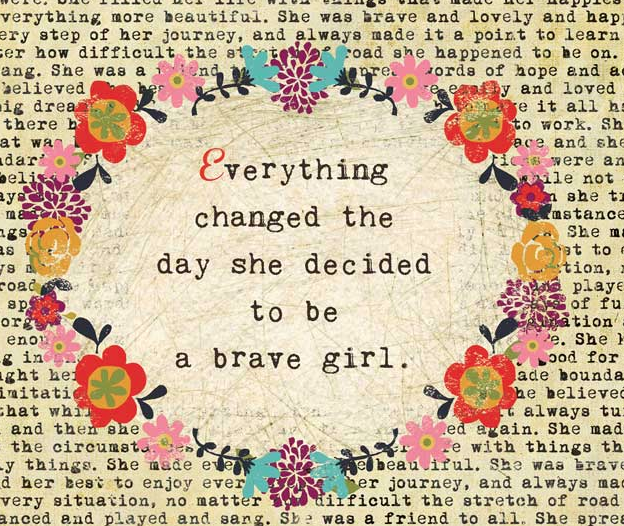 I stressed, and I STRESSED and then I said "Just be YOU". 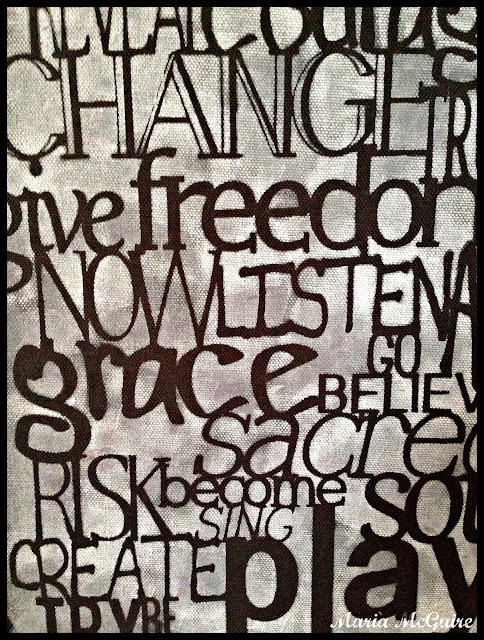 This is what I did with the Use Your Words stencil the very day it was in my hands. It has been hanging on the wall in my office since then....NO, Carolyn has never seen it even though I talk to her every day and it is right over my shoulder out of range during Facetime. It is a constant reminder to me to JUST BE YOU! 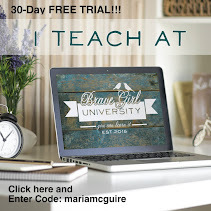 It is so ridiculously easy that I thought I could never show it. Gesso stenciled over the stencil onto black duck cloth. I originally was going to embroider this design (which I still will on a different project) but when I did the stenciling it came ALIVE--like a backwards chalkboard. It immediately made me happy and I stopped. Simple, easy, frame on clearance for $10, makes me happy!!! 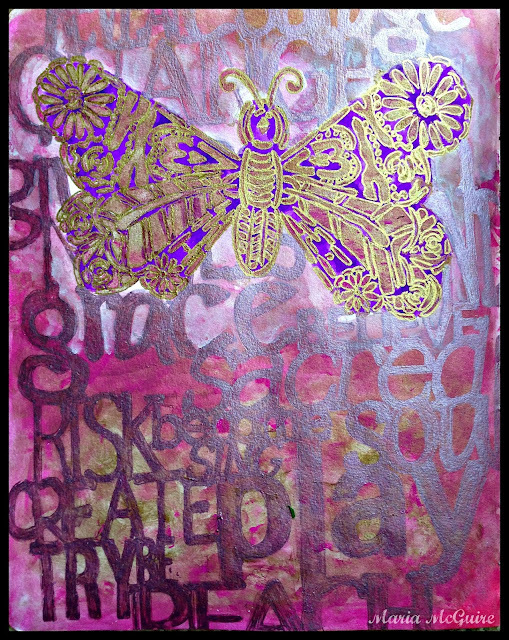 Now I'll show you some PLAY (Carolyn's word) in my art journal. Remember those Artist on the Block Trading Blocks that StencilGirl worked with? You can see mine HERE. I was actually talking to Carolyn on the phone when I was making my blocks. 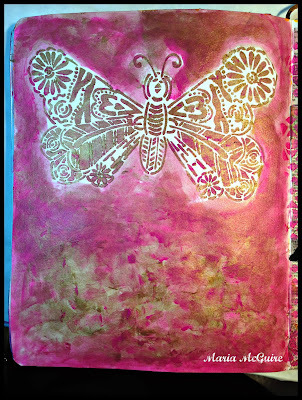 That is a another story for another day :) I had leftover paint on my palette and picked up my Butterfly Duo stencil from StencilGirl and used some of the paint to stencil it in my journal. Still more paint left....painted it around it. When I was sitting on the couch later that night I decided to use Carolyn's Use Your Words stencil around it. 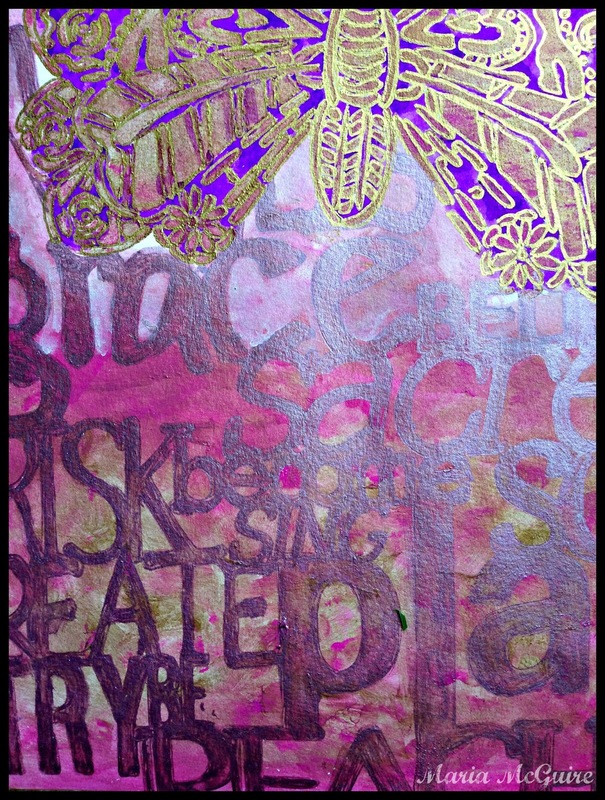 I outlined the stencil onto the page and then colored it all in with a Sakura Metallic Gelly Roll Pen. YES, I colored it all in with a pen. I LOVE to do things like this. The best part...as I was doing it I realized this was the PERFECT page to me. The coming together of two friends who support eachother in their journey in life. 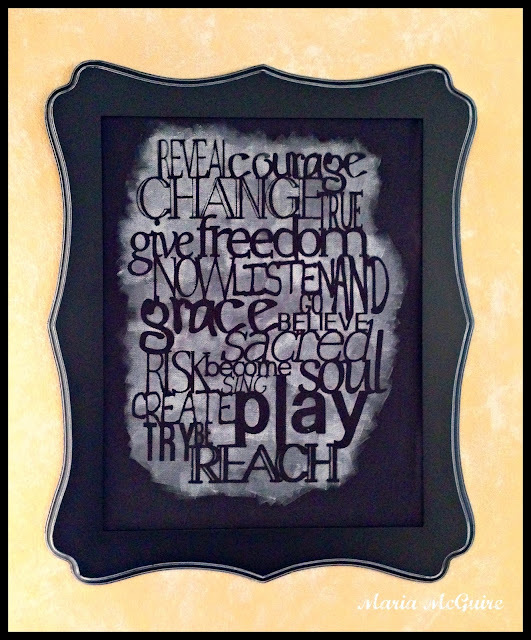 Now....it is time to see what Carolyn made with her Use Your Words stencil. I'm on my way over too! You can see it HERE. We never reveal what we are making until it goes live! I cannot wait! Here's to 2014 and continued Artsy Fartsy Friendly Fun! I never knew you had that on your wall! I so agree- 2 friends supporting each other on the journey! I love not only what you created but all the heart that you put into them! I am looking forward to more Artsy Fartsy in 2014! Maria, I love the simplicity of it...I agree that this one doesn't need stitch...it's perfect just the way it is! The gold popped that butterfly. Those letter are just jumping off the page. Love what you and Carolyn with your your artsy fartsy funsy times. The butterfly is beautiful- agreed, coloring is so relaxing and fun! I would totally be sitting next to you with my pens :-) Love hearing how your project developed. Love my Artsy Fartsy friends! :) :) oh and your project looks great too! Love what you did with it!! Just got my Words stencil a week ago and love it!